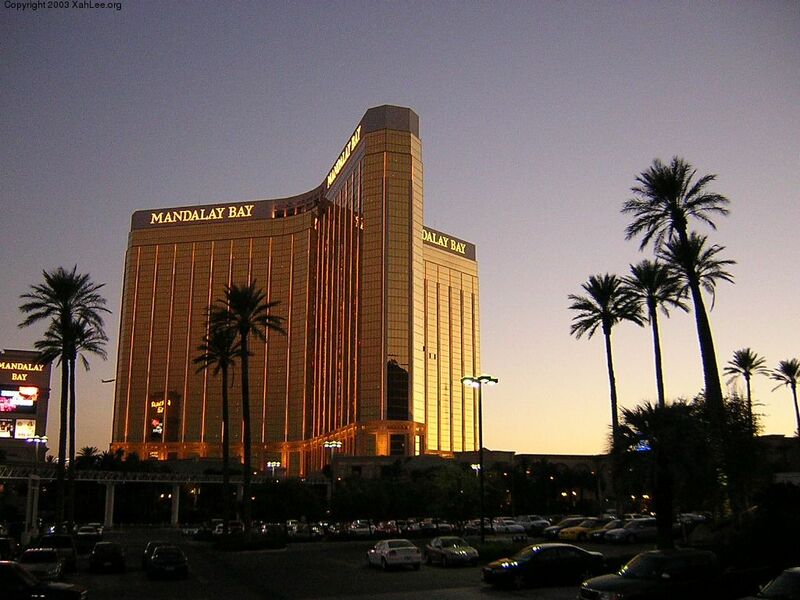 Mandalay Bay , located at the lower corner of The Strip and Tropicana, the south most hotel-casino of Las Vegas, right below Luxor. 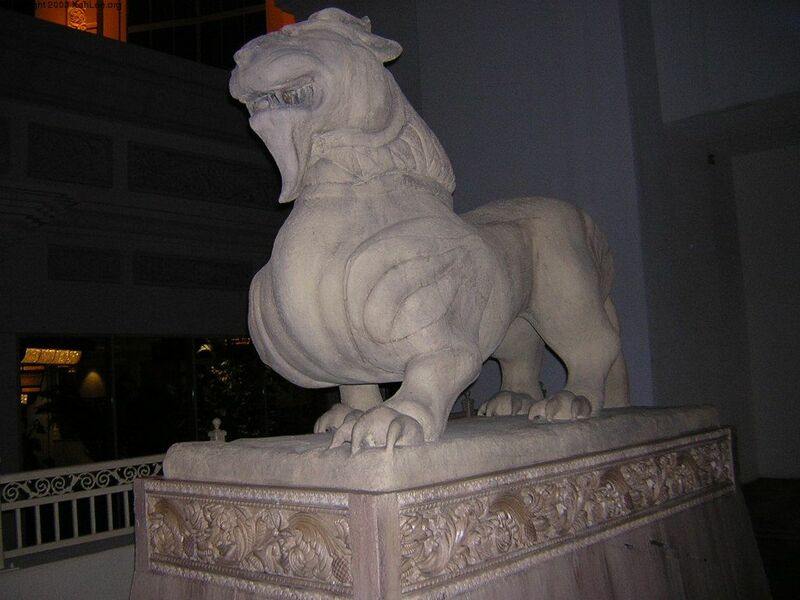 Don't know what chimera this is, but a pair of it crouched right outside the door to the main entrance of Mandalay Bay hotel. 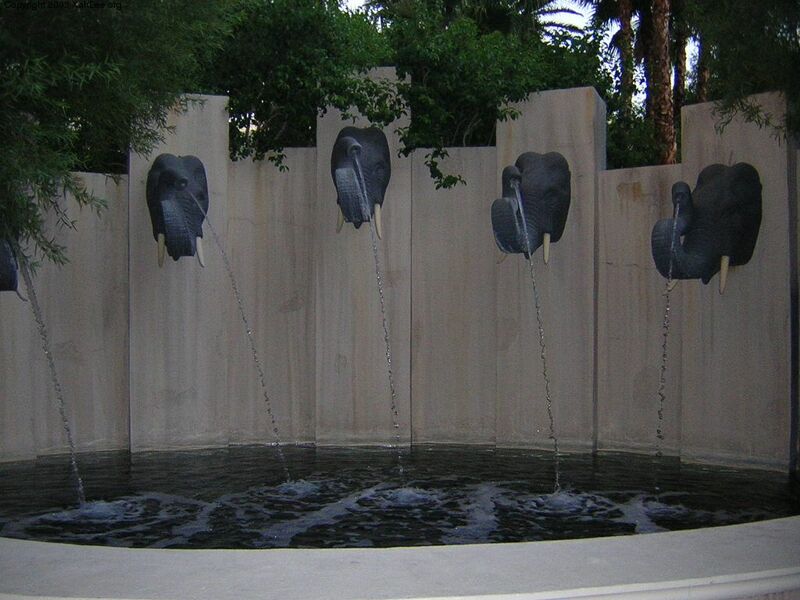 This comparatively flat elephant fountain pools in the back side of the hotel near the beach area. 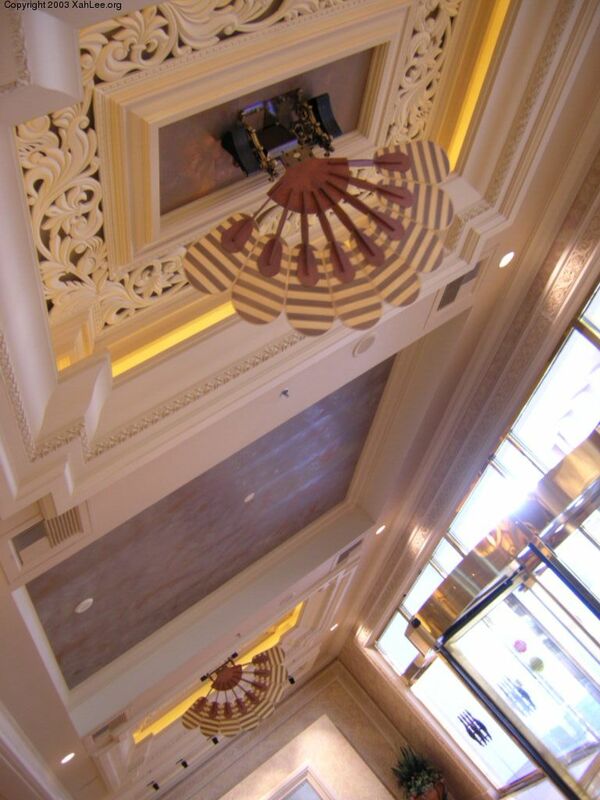 Ceiling fan at the vestibule of Mandalay Bay. 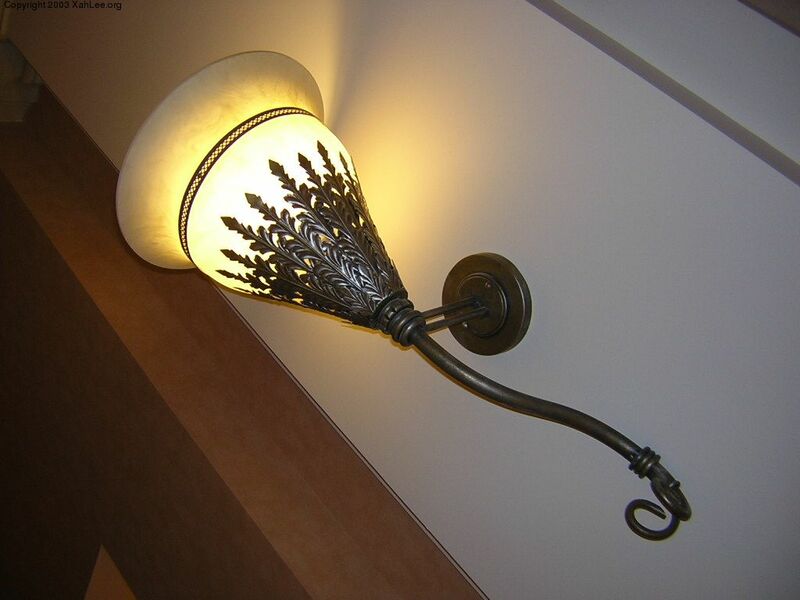 Instead of rotating blades, they have vanes moving to and fro by electricity the way you would fan yourself with your hand. A very efficient entertainment device. 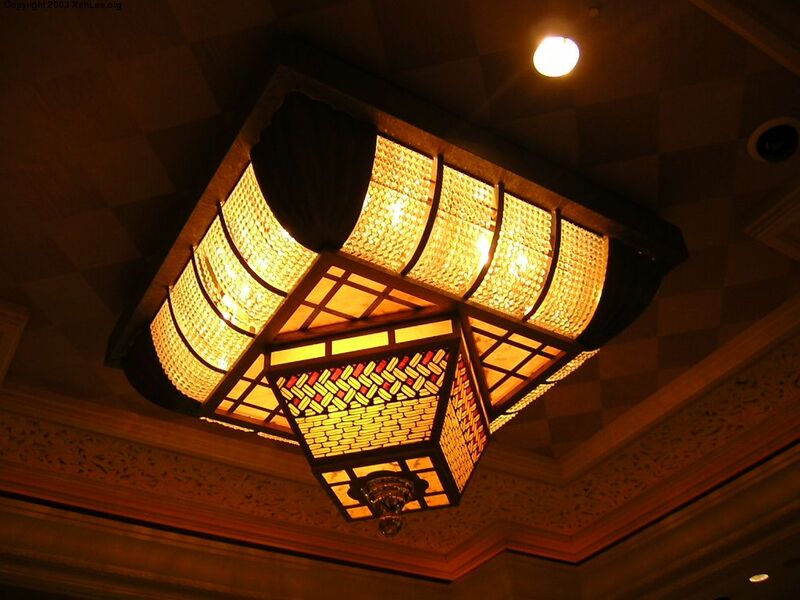 As you will see, chandeliers or extravagant lighting fixtures compete for their luster under various hotel-casinos of Las Vegas. 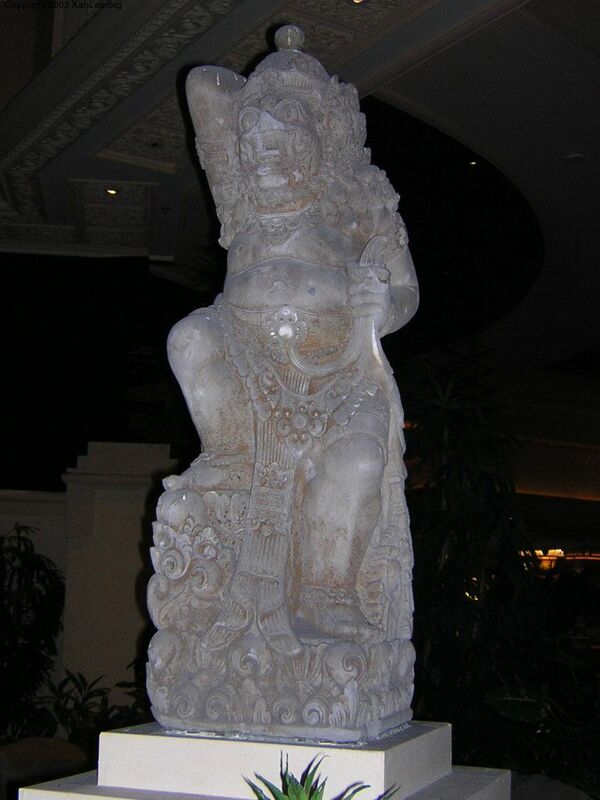 Another monster or deity lurking inside Mandalay Bay. This one looks of South Asian origin. 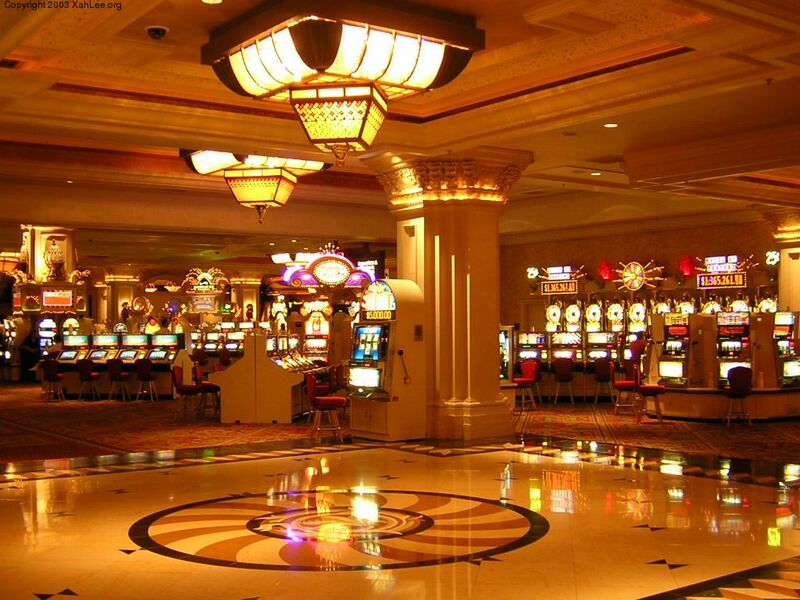 What is the significance of “Mandalay” anyway? I learned that it is a city in Burma (now Myanmar), capital of the kingdom of Burma from 1860 to 1885, when it was annexed by the British, it was heavily damaged in World War II. And, Burma is a county in South Asia. Its neighbors are India, China, and Thailand. Now much of the decor and gargoyles comes to light. 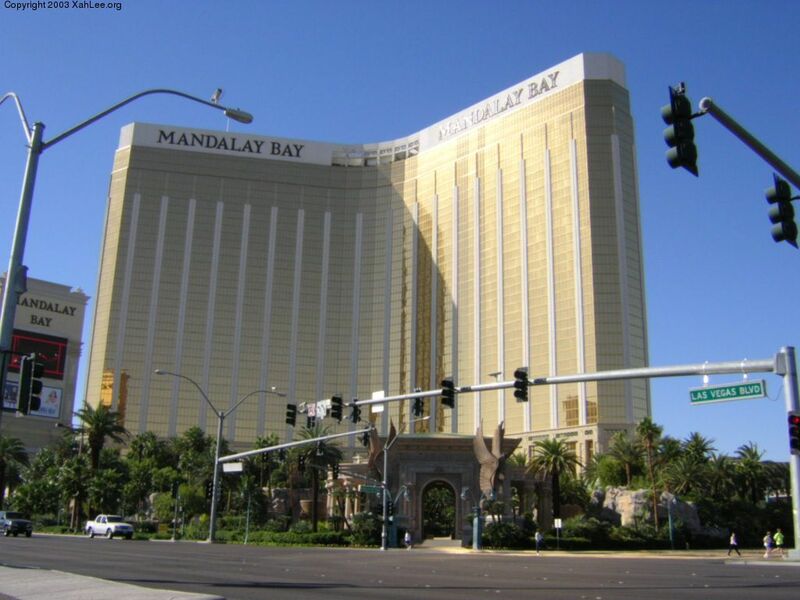 Now if the background is a ancient Eastern kingdom with its multi-handed and headed gods and goddesses and multi-tiered pagodas and monasteries, this Mandalay Bay failed miserably in drawing its rich history to bring out exotic decor and designs as a themed resort. From a economy point of view, i wonder if more money would right this wrong. Perhaps the answer is no because there is no demand, and that is because the vast majority of tourists don't have the sophistication to appreciate. 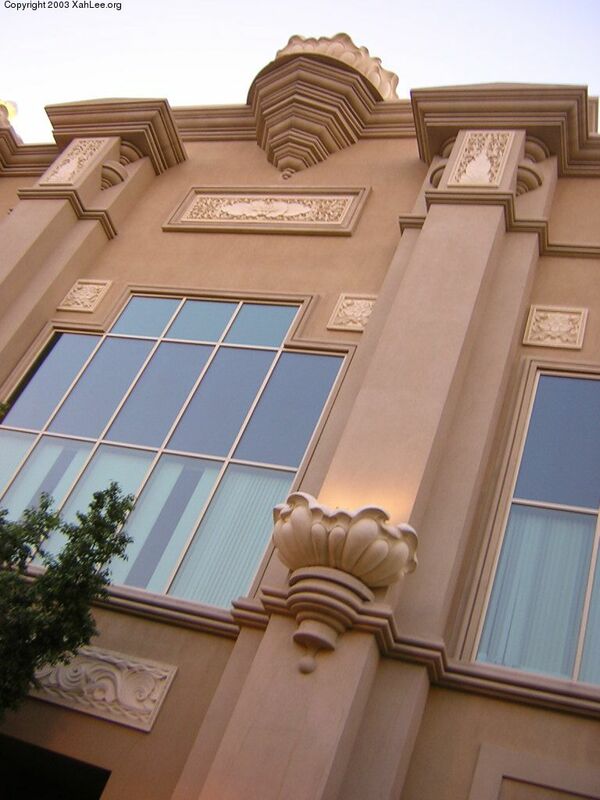 If when Las Vegas vacationers are all erudite or hungry in history and taste like i am, then perhaps Vegas can give depth to design. I wait for this day to happen. The Shark Reef is a $40 million aquarium covering more than 90,000 square feet that holds more than 1.5 million gallons of seawater and 100 species of animals. The ticket is some $15. I actually took the bait. You walk in and see various wall-sized tanks, and the last one or two is the shark tank where the room you are standing is in the middle of it. They don't have truely giant sized sharks like hammer-head or the great white, but still you get to see various rarities like eels, jellyfishes, carnivore piranha, rays, saw-fish, hammer-head-like sharks, etc. In one place visitors can touch rays and other fishes swimming in a shallow pond. Touching live rays with my bare fingers was a great experience. The tour is not timed, but it took about 40 minutes. About the birdy gargoyles with dinosaur heads and tails, i couldn't ascertain what they represent. 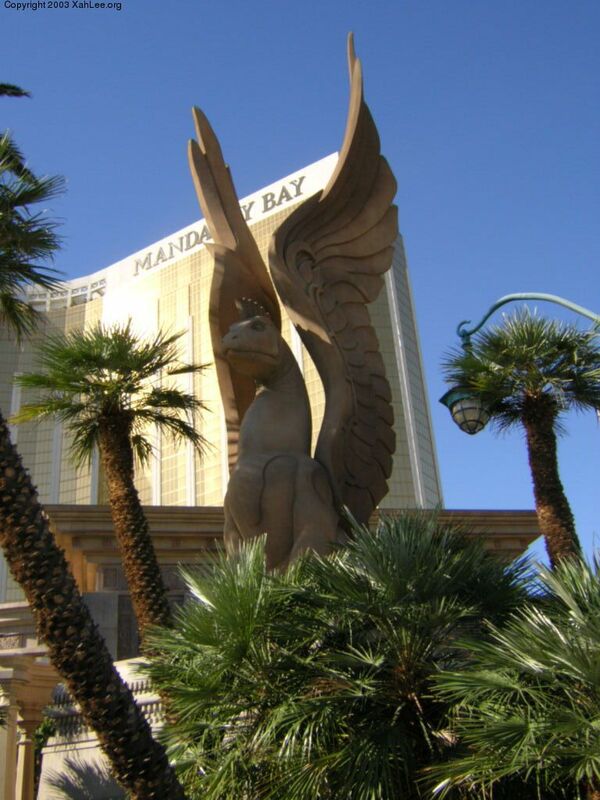 Some mentioned it might be the Hindu minor-god Garuda, but of all the depictions of Garuda i've seen, none of them looked like a winged lizzard as it is here. 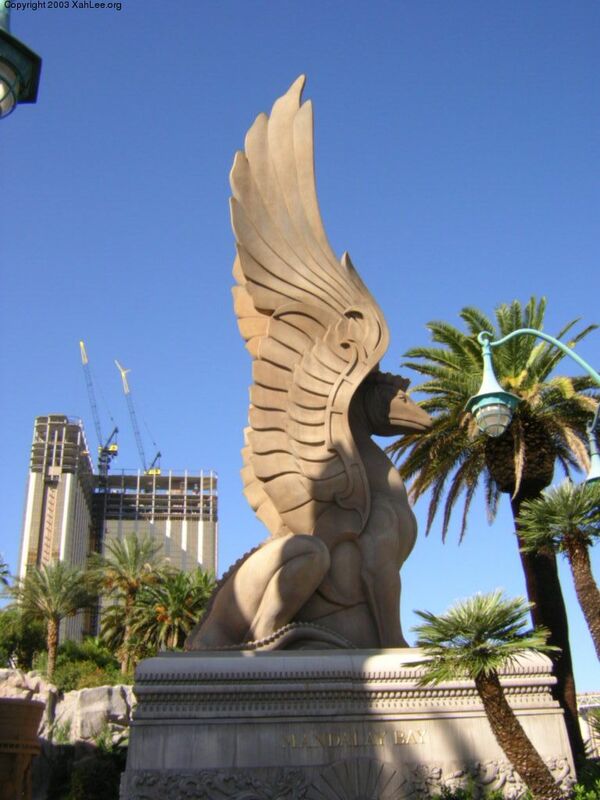 Nor does Garuda appear in pairs. It doesn't seem to ever be gate guards neither. The four-legged beast gargoyle i'm still not sure of. I was told it's Simha or Tiger, whatever that refers to. That last hideous-looking sculpture may be Yaksha or Ghandharva. Both are from the mythology of Hinduism and Buddhism.